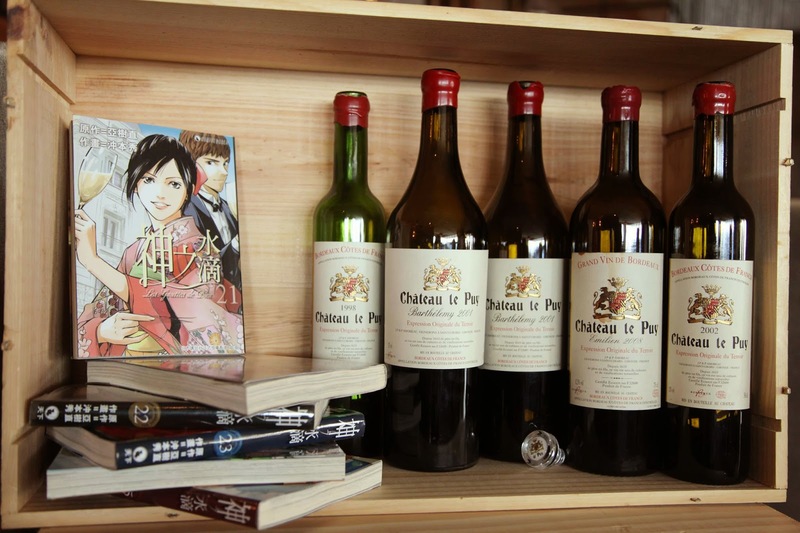 I used to follow the Japanese wine comic ‘The Drops of God’ but gave up after the fourth wine because I was sure it would be a never-ending series. So I was very curious when I was invited to the Chateau Le Puy (Saint Cibard, between St Emilion and Pomerol, Bordeaux) tasting recently, this being the last of the '12 apostles' (and finally the end of the story). The tasting was led by Sophie Luu, the Brand Manager of Chateau Le Puy based in Shenzhen, and Esther Lee from Amber Wines, its Hong Kong importer. Sophie was very enthusiastic and kept emphasising that the vineyard was biodynamic and that no chemicals had been used on the land for over 400 years—this is amazing as most organic and biodynamic vineyards nowadays are converted from conventional farming. 400 years without the use of chemicals is indeed very rare. Jean-Pierre Amoreau, the owner, listens to the land, observes the environment, studies the ecosystem and relates to animal life. He believes that great wine can only be produced by listening to the energy around the vineyards. We tasted two wines. Emilien made from 85% Merlot, 14% Cabernet Sauvignon, 1% Carménère with minimum sulphites (60ppm, whereas the limit for red wine in the EU is 160ppm), and Barthélemy, a single plot 85% Merlot and 15% Cabernet Sauvignon with no sulphites at all. All are aged in old barrels. The verdict? Emilien (we tasted 2007, 2008 and 2009) is understated and elegant, a more classic style of Bordeaux and a breath of fresh air compared to the sometimes over-fruity and over-oaked modern styles. I liked the 2008 for its structure, balance and mix of dried and red fruit aromas. The 2009 was quite closed while the 2007 was surprisingly good given the difficult weather conditions that year (spring frost and a rainy summer). The Barthélemy, with no sulphites added at any stage of winemaking, and the first bottle of 2008 we opened being oxidised, generated a lively discussion on the philosophy of winemaking. As a winemaker, I understand that great wine is made in the vineyard and I support organic and biodynamic farming. However, I also understand that winemakers can be making vinegar, not wine, if they are not careful. People shun sulphites because they are chemicals and allegedly give headaches. These arguments are ill-informed because there is literally no sulphite-free wine in the world: sulphites are by-products of fermentation and all wine contains a certain amount. Besides, there are regulations governing the total amount of sulphites permitted in wine (160ppm in red, 210ppm in white and 2/3 of these amounts in organic wine), which is much less than the amounts permitted in other food products (500ppm in dried nuts and 2,000ppm in dried prunes and apricots). Sulphites' anti-microbial and antioxidant capability are essential to protect the wine from premature oxidation and spoilage. That first bottle of Barthélemy 2008 was the typical example where, through no fault of the winemaker, the wine has spoiled because of a duff cork, improper storage conditions ... who knows! Sophie’s argument was that sulphites mask the terroir. Well, not unless a bucket load is used and the fruits are diseased. I respect the philosophy and decision of the winemakers not to add them, but the flip side is that they have to be ready to face the possible consequence that a consumer who tried that bottle of Barthélemy 2008 might dismiss the wine altogether and never buy it again. More importantly, consumers who purchase sulphite-free wine should be prepared to accept that the wine may not deliver every time, and they should be willing to give them another try. So, does Chateau Le Puy deserve to be the last apostle? I think so. It is about respect for tradition, coexistence with nature and preservation of the environment. We human beings have been too selfish for too long and it is time for us to embrace biodiversity and sustainability. Chateau Le Puy is available from Amber Wines. Don’t be afraid to try a second bottle of Barthélemy if you don’t like the first one. Altaya has been running Passion for Pinot for five years. This year's seminar, entitled’ Unmasking the Grape: Diversity and Identity’, presented by speakers from five wineries on both sides of the equator and moderated by Debra Meiburg MW, was definitely one of the best seminars I have attended this year. Ask any winegrower and they will all agree Pinot Noir is a temperamental, fussy grape. This seminar focused on four areas: climatology, geology, topography and techniques. Each speaker shared their experience on how they tame Pinot Noir in their vineyards, and more importantly, spoke of their passion for this variety. All the speakers love their dirt, which they believe is the key component of shaping the wine, but each of them also had some unique insights. Steve from Giant Steps said the many different soil types in Yarra influence the way vines find water and minerals, subsequently influencing the fruit. 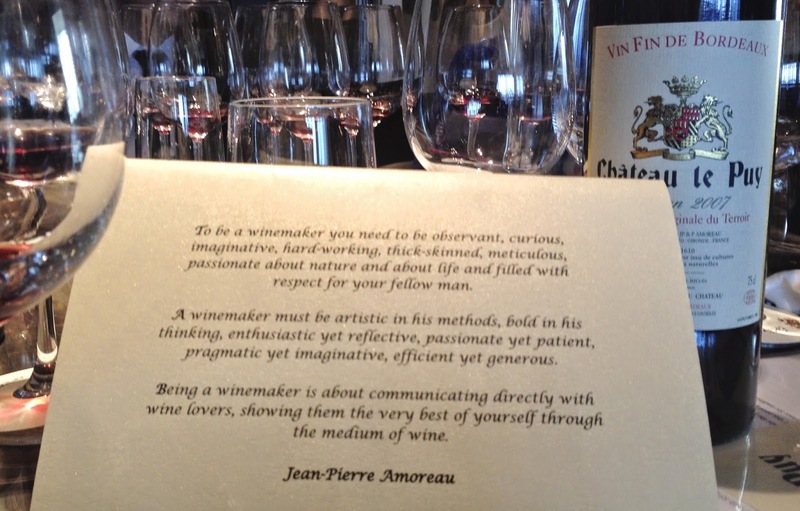 Therefore soil really dictates the personality of the wine. Jo from Rippon echoed that tasting wine is about tasting its form and shape, which comes from the soil. Rippon’s vineyard is mainly schist from glaciers, which is highly reflective, and when it comes into contact with water remains how it was rather than crumbling like clay, giving her Pinot its dense structure. Cédric from Godmé illustrated the relationship between the top soil, the sediments and clay with their water retaining capability and the underlying chalk (limestone) in Champagne. Pinot Noir needs more water than Chardonnay to ripen properly so prefers a deeper top soil, but it cannot be so deep as to obstruct the roots reaching down to the underlying limestone for minerals. There are 84 plots at Godmé each producing a different style of Pinot Noir. Grapes for making the Blanc de Noirs are grown on plots with 25-30cm of top soil. Erwan from Faiveley further elaborated that while terroir dictates the wine style it is climatology that defines vintage, and this is especially important in Burgundy given the ever changing weather. 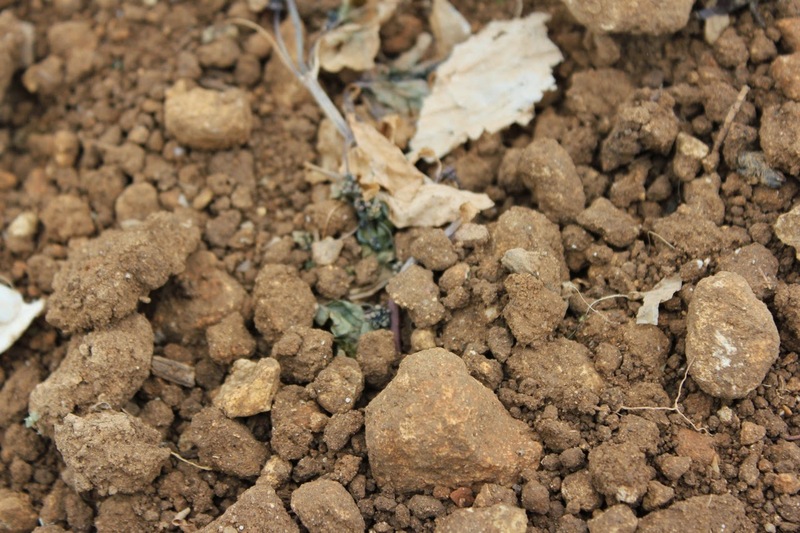 Vineyards in Burgundy are about the matching of soils of different water retaining capability with the right topography. Brian from Mahi agreed that soil is about structure and its water holding capacity. He also explained the importance of rainfall, which is not replaceable by irrigation. The function of the leaves is photosynthesis. 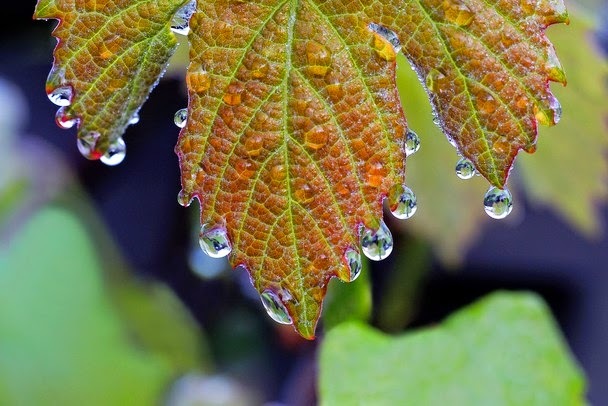 Irrigation may provide water to vines in dry weather but cannot provide moisture to leaves. Leaves may be too dry, causing the stomata to close and preventing them from functioning properly. We tasted two different wines from each winery to understand the interactions among these four factors and how they affect the final wine style. 10 Pinot Noirs from five wineries and they were all different. The pairs from Faiveley, Rippon, Giant Steps and Walter Hansel were from different sites but the same vintage so we were tasting the effect of soil and topography on wine, while Mahi’s pair was from different sites and also different vintages so we had more elements to consider. Godmé’s pair was all about climatology—the difference 500 extra sunshine hours during growing season can make. • Millésimé grand Cru Brut 2003: A very rare vintage Blanc de Noirs, the first and only one from Godmé thanks to the exceptional heat wave that year that gave the region 2,100 sunshine hours instead of the normal 1,600 (most vintage champagne has a high proportion of Chardonnay for the acidity). Partial oak ageing and 10 years of yeast autolysis further added complexity to the wine. • Gladysdale Pinot Noir 2012 from a cooler site at 350m with volcanic soil. • Nuit St Georges 1er Cru Les Porets Saint-Georges 2011, more floral with a herbal touch when compared with the first wine. Try this kind of pairing for yourself and you will see how mother nature plays its part in wine. Hopefully this will help you understand and appreciate more different styles of wine. All wines are available from Altaya Wines. I had come across a few Lurtons in the past few years but had never really linked them together until I received an invitation to the Lurton Family Tasting prior to Vinexpo. The Lurton family has its root in Bordeaux. The Recapet family started planting vines back in 1650 and great grandfather, Léonce Recapet, started buying estates in 1897, nurturing them back to health after the devastating phylloxera epidemic of 1890 that destroyed so many vineyards. He was even a joint owner of Chateau Margaux at one stage. His daughter married François Lurton who continued to manage the family estates. They had four children, André, Lucien, Simone and Domnique, who each inherited a domaine and carried on to expand the businesses. There are 24 children in the fourth generation. 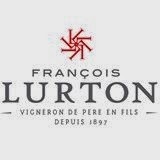 With 13 of them involve in winemaking, Lurton is the largest family group in the wine industry. 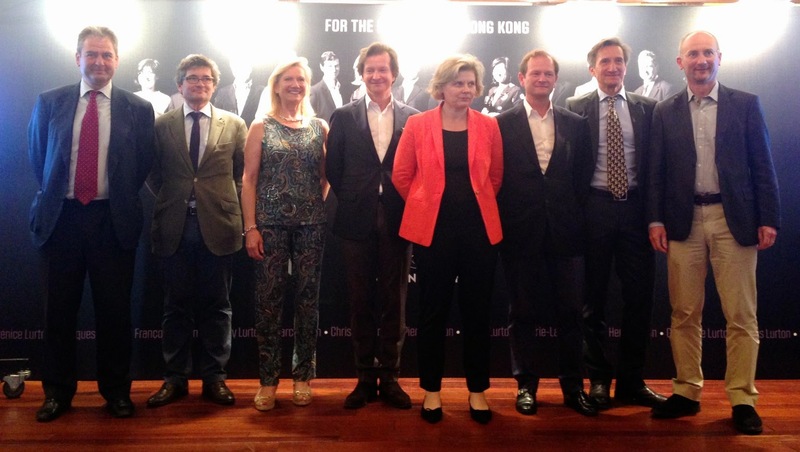 Together they own 27 estates with some 1,300 ha of vineyards all over the world. While each member has his own individual business and vineyards, some of them considerable successes in their own right, the name Lurton nonetheless still unites them. In 2009, the Lurton cousins decided to join force and set up the Lurton Wine Group, aiming to promote all the Lurton wines—a brilliant marketing idea in my opinion. Eight of the 13 members were at the tasting, and we tasted 44 wines from 22 estates, stretching from Spain and Southern France to Australia, Chile and Argentina, with the majority (30) coming from Bordeaux. While the wines all have different styles, they have one thing in common: a respect for the terroir, doubtless a trait inherited from their great grandfather. I first met Bérénice in 2012 at her estate and I was impressed by her passion. The market share of sweet wine is in decline because of consumers’ preference for less sweet wines. In response to the market, Bérénice developed a second label, Cyprès de Climens, a lighter and more playful style targeting the younger generation that can be served as an aperitif. She recently converted the vineyards to biodynamic farming to make a more elegant wine. 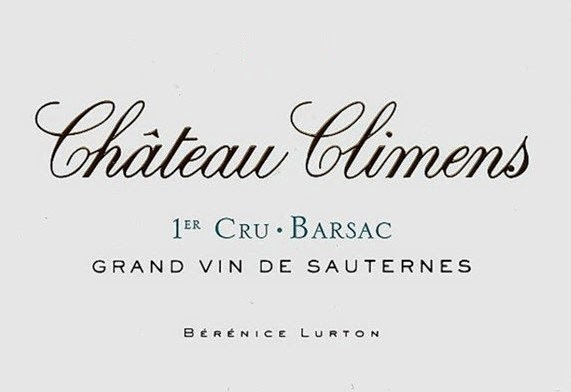 Jacques was the first Lurton to venture outside Bordeaux, which he did in 1985. 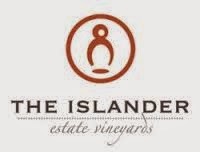 After trotting the globe as a flying winemaker for some ten years, he established The Islander Estate in Kangaroo Island in 2000, a maritime-climate site with air from the Antarctic cooling the vines in summer. He is particularly proud of The Investigator, made with 100% Cabernet Franc—a wine that combines the ripeness of Australia and the elegance of France, and I agree. It’s a shame that my one visit to Kangaroo Island happened a few years before Jacques founded the estate. François is the most international Lurton member, with vineyards in four countries. He actually started off in South America before returning to set up vineyards in Spain then finally France. His philosophy is to preserve the freshness and purity of the fruit, producing wine as natural as possible (biodynamic in South America and minimum chemicals in Europe). I particularly like his Argentinian wine, the Gran Lurton Blanc 2012 from Tokay and Chardonnay grapes with an intense yet elegant palate, and the Piedra Negra Gran Malbec 2009—one of the few Malbecs with such elegance. Most of us know Pierre because of his role in Château Cheval Blanc and Château d’Yquem, but it is Château Marjosse where he feels at home. This is his back garden where he shares wine with friends and family. Pierre has no intention to make a Cheval Blanc here, but rather an unpretentious, good quality wine to be enjoyed with friends. I love his Entre-Deux-Mers white 2012 with its fresh citrus and minerality (it is a blend of Sauvignon Blanc, Semillon, Muscadelle and Sauvignon Gris), and I can imagine enjoying the wine with friends on a lazy afternoon. This again proves my point that good quality wine doesn’t need to break the bank! By the way, Pierre is also consulting to Morgenster in South Africa, another outstanding wine from a beautiful terrior. I hope the next generation of the Lurton family, now coming of winemaking age, will continue the fine traditions of their parents and expand the Lurton family horizons to yet more parts of the world.